Seekerville: The Journey Continues: What Do You Seek? Among the many yard signs decorating homes in our neighborhood this Christmas season was one that had this simple phrase: Wise Men Still Seek Him. As I prepared this post for the Seekers blog, these words kept coming back to me. When we think about the Magi (the three kings or wise men from the East who came to Bethlehem seeking “the King of the Jews”) it’s appropriate for each of us to consider the question that it’s so easy to forget—what do we seek in this journey? I’ll start with the Seekers themselves. This blog is over ten years old, and each of the members of the founding group have gone from Unpublished Island to the shore of Published Land, waving to us, cheering us on as we strive to join them. I won’t go into all the awards and honors they’ve accumulated along the way. But I’m willing to wager the hole in a donut (it’s my Baptist background that prevents me from choosing higher stakes) that they didn’t get into this for all the awards. Their goal from the first was “support, encouragement, and information for the writing journey.” They were seeking to help other pre-published writers, all the while getting their novels out in whatever form honored the Lord best. Everything that came along as they progressed in the journey was simply a by-product. One of the things I was most impressed with when I started traveling my own road to writing was how willing established authors were to help others. The farther I was down that road, the clearer it became (to me, at least) that this was an almost universal trait of those who write for the Christian market. I have very little experience with authors who write for the “general” market, but it would be hard to be more willing to help newbies in the industry than the writers with whom I’ve come in contact over the past decade and more. What were these writers—the ones who became the “big names” in our universe— seeking? I can’t read their minds, but it appears they wanted the same thing the original Seekers sought: to tell stories that were edifying to the readers, glorifying to God, and entertaining in the process. Scriptures tell us that the harvest isn’t necessarily our responsibility, but we do have to sow the seed. These authors were trying to do just that, and in addition were willing to help other sowers who were sitting on the sidelines waiting their turn. That’s what they were seeking. One of the things that was hardest for me to accept, once I had my first book published, was that people—whether in an individual setting, a book club, or a Sunday school class—like to talk with authors. The simplest things that we’ve experienced in our climb are fascinating to non-writers. In this way, we find ourselves sort of celebrities. And we have to be careful about that. Most of my life I’ve considered that pastors and church staff members were on the front lines of sharing the Gospel with the rest of the world. It wasn’t until I saw my name on the cover of a book, fielded my first questions about writing, had someone ask about my book, that I began to realize that I was part of that group as well. How various authors shared an aspect of the Good News would be different, depending on their audience and the way the writers communicated that message, but each of us in our own way is a preacher, just as much as the person who stood in the pulpit and proclaimed what the Lord had laid on their heart. As such, in much the same manner as sports figures and celebrities, we are role models, and should behave as such in everything we do. We should model what we believe…in our writing, and in our lives. That should be what we’re seeking. And what of you, the reader? Perhaps you’re not looking for publication. Maybe you’re reading this blog because it’s entertaining and fun. By your very actions every day—what you say, the things you do, the movies and books you choose—you’re providing a witness to a world that needs examples. Are you striving to provide a good one? I’ll end this blog post with a simple question, one that I hope you’ll ponder in your heart in the days ahead. What are you seeking? On top of that great question, Richard is offering an e-copy or hard copy of his latest novel "A Surgeon's Choice". Dr. Richard Mabry is a retired physician, now writing “medical suspense with heart.” His novels have garnered critical acclaim and been finalists for multiple awards. In addition to one non-fiction book, The Tender Scar, he has written eleven novels and four novellas. The latest is Surgeon’s Choice. He and his wife live in north Texas, where he works fruitlessly to improve his golf game and tries to convince his family that staring into space is really working. You can learn more at his blog and webpage, as well as finding him on Facebook and Twitter. Dr. Mabry, what an inspiring post! I never thought about being a writer as being like a celebrity and I should have. Others will be watching. All our words and actions should provide a witness just as in our books. What are our lives providing? Thank you for these thoughts! Hi Sally! I'm one of those readers that just can't help but do some fangirling when I meet my favorite authors! Sally, excellently put! When we claim the name of Christ, it comes with the joy of being an ambassador for Him. I also have to mirror your thoughts, writers do have such an opportunity to talk to readers (maybe not always face-to-face) about the gospel through the pages of a book. Or maybe there have been times where you've met some of the readers and it sparks a faith conversation :-) It's why I've stuck with Christian fiction and highly respect authors who are true to the Lord in the written word and aren't afraid to let His light shine in their books. So keep on keeping on, fighting the good fight and showing Christ in whatever manner He provides! Trixi, you said, "It's hard to do sometimes, isn't it?" I think you can leave out the "sometimes." :-) Like you said, it's a everyday battle. I agree with the "everyday battle"... even though I enter the day, knowing.... We are so human. Trixi, I love that you've chosen SEEK for your word this year! I also love when God makes so many things dovetail in our lives to help us learn and see and do the things He wants. :) Like Seekerville posts! Richard, I'm so happy to have you and host you today! Such good words, and this is the third time I've read them... and they still are good words. Your thoughts about being an example... living as we speak and write... those are so true. I find myself weighing my choices carefully... but not always for that reason. There are times when I think I should speak out. The #metoo movement, the awful scandal of 150 gymnasts, failed by the adults around them... and wisdom would say an author should stay silent. Well, I can do that about politics. My vote is my own. But when it comes to women's rights or civil rights, Doc!!! I speak out even though it might be considered foolish by author standards... but it's right by human standards. Now, thank you for your kind words about the Seekers and Seekerville. Ten-plus years... and counting. We realized it's not about who we are. Who's minding the store. It's about what the good-hearted people bring to the table. Your post today will inspire so many. Thank you for being here! Doc, welcome back! What an inspiring post and a great reminder of the responsibility that goes along with being a writer. You know, so many writers taught me and helped me from the moment I joined RWA and Georgia Romance Writers. Then later, I joined the Faith, Hope and Love chapter and ACFW. So many writers generously helped me. I love that we're able to give back a little bit here at the blog! Thanks for all your comments, and for what you as writers "seek." I appreciate this opportunity to reconnect with Seekerville and its participants. Good morning, Dr. Mabry, and welcome back to Seekerville! There wasn't even such an animal as "inspirational" fiction except for a few hit & miss titles that might pop up every few years in a Christian bookstore (of which there weren't many of those either and they held predominantly Bibles & study guides, certainly not fiction). Like the other Seekers, RWA as my first opportunity to interact with other writers and learn about the writerly craft and industry. We learned so much from entering contests & receiving feedback from other authors generously willing to share their time, knowledge and encouragement. Later came American Christian Romance Writers which later morphed to ACFW. So, as you know, by the time all the Seekers started bumping into each other in contest finalist circles, we realized that even though most of us weren’t yet published, we had acquired a lot of knowledge and experience that might make the road a little less rocky for other aspiring authors. And Seekerville was born! I'm still amazed at how fast the past 10 years have flown by--and still Seekerville is seeking to reach out and give other authors a boost. Amazingly, we receive back in friendships and encouragement every bit as much as we give. God has richly blessed us! Thank you for joining us today with your inspiring and challenging post! Thank you, Richard, for this post. It's good for us authors to think about what we are hoping to share with our readers (or potential readers). I so appreciate the help I get from the other authors here in Seekerville. Please put my name in the drawing for your book! Good Morning Dr. Mabry and Seekers! Thank you for this wonderful post! Please put my name in your medical bag for a chance to win your book. That's so Marcus Whelby, MD! :) Do today's doctors even carry medical bags???? To my knowledge, Ruth, they don't. Some don't even wear ties, although I always did. Lol! Thanks Caryl for dropping in! So wonderful to find you back in Seekerville again, Doc! This post is a very timely reminder for me, not only about why I write, but WHO I'm really writing for. As for what I'm seeking, after a crazy and complicated 2017, I'm seeking something verging on "normal" this year (whatever that might look like!). But most especially, I'm hoping for a return of the joy and excitement that drew me into a writing career in the first place. Thanks for such an interesting, thought-provoking post, Dr. Mabry. Hi Laura! Thanks for dropping by. Dr. Mabry's post does give us something to think about! Hey, Laura! It was a good way to start a Monday, wasn't it? Positive, and with a call to action, too! Good morning, Dr. Mabry! It's so good to see you in Seekerville again! One thing that struck me about your post was this statement: "...each of us in our own way is a preacher, just as much as the person who stood in the pulpit and proclaimed what the Lord had laid on their heart." I have descended from a long line of preachers and teachers, and have often seen myself as a 'teacher,' but never a 'preacher.' But you're right - we are Christian authors, and as we tell our stories we are proclaiming the gospel. That is a heavy responsibility, and it affects all aspects of our lives. Someone once pointed out to me that a nice way to picture how many people our writing influenced was to take the number of books sold, multiply by two or three (because more than one person reads them), then imagine them in a stadium. However, as I've said more than once, if only one person--you--reads what you've written, perhaps you've done what God intended. Oh, that's so eye-opening! I'm not a writer, so I can take what you said about myself when I talk to someone. What I say, or even do, can be heard or witnessed by one person who in turn can relay that to others and so forth. It's why I'm so careful about my conduct and speech in public places, you never know who's listening or watching! And I know there are many times I fail more than I want to. I'm so glad I have a God who forgives those times when I ask Him to :-) Then I strive even more diligently to better the next time. Well, I'm a New Yorker, Doc, so I like the idea of seeing all those books in a stadium! :) But I also agree that God's got a plan for each of us... and discerning that plan, the goods and bads of it from our perspective is part of our journey. We added The Journey Continues to the Seekerville logo not only to mark that we went through changes, but to show that change doesn't mean loss of hope or direction. Change is simply change... and then what we do with it is up to us. How often do we here the words "And then..." "But then"... "And if"... to kind of show why we didn't change? What if we simply embrace changes, plant a smile and say "What now? "Who, me?" "Sounds great!" Isn't it funny how different everything seems from that perspective? So true. Perspective is very personal at times and that goes for are we seeking our own or God's will? Good morning Dr. Mabry. I have been visiting Seekerville for over two years and I keep returning so that I can reas about new books, discover new authors and learn new, interesting facts. I also visit to be challenged in my faith because I never read a post without being inspired, questioned or motivated. One of your points about established authors being eager to help their fellow authors especially resonated with me. A person may be acclaimed in their field but it is when they are willing to help others succeed that they themselves are A Success! I have been forunate to have known some of the latter! So true Connie. That is what I feel about this community. Ever since I've joined this blogging and book community, I'm surprised by the genuine love. I really shouldn't be, but I am. PHOF. That means Posting Hall of Fame. (It's a term often used on a sports forum I read about my beloved Jayhawks, but it fits your comment here today. "A person may be acclaimed in their field but it is when they are willing to help others succeed that they themselves are A Success!" Welcome to Seekerville, Doc. This post resonated with me, and I thank you for that. I seek to honor God in word (spoken & written) and in deed. Am I always successful? To my shame, no. Something happened recently that was entirely my fault. I offended someone, and it broke my heart. I sought God's forgiveness first, then sought to make the slight right the best way I could. I suppose the point of telling this is that we all make mistakes at some point, but recognizing and owning up to them seems few and far between. Pam, I've done too often. I should know better. Then I open my mouth and say the wrong thing. Owning them is huge. And humbling. And I like myself so much better then!!! RICHARD!! LOVE this post, my friend, and hope you are doing well. You asked: What are you seeking? Ironically, not two minutes ago, I sent an online prayer request to a church I attend in Birmingham when we visit our daughter. 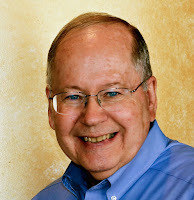 The answer to your question for me is that same prayer request that I just sent, and I am including it here for anyone who would like to say a quick prayer on my behalf and yours, Richard, and every other author in the Christian market. Lord, please, help me to want Your will in my career more than my own and bless me with Your anointing, contentment, peace, creativity, and productivity in that career. Praying, Julie. I remember reading a post on Facebook from a publisher -- think it was Bethany House -- where they encouraged readers to pray for authors. I had never thought of doing that before, but now I pray for the author of the book I am currently reading. I so appreciate all the Christian Fiction authors who have blessed me and challenged me through their stories. Prayer... the power tool of all power tools. So beautiful. I love when authors and readers pray for each other. I also think it connects authors and readers on a more personal level too, and that's also why we readers go fangirling. Lol. Because we're quite invested! Excellent post, Doc. Very thought provoking. Ask any unpublished writer what they are seeking and they will likely say publication. But as Christians, we are held to a higher standard, aren't we? While we may indeed be seeking publication, which was my deepest desire, we should also strive to be in the center of God's will. What if publication isn't God's will for us? But what if, as a result of our writing journey, we draw closer Him and discover something else that He may have in store for our lives? Yes, this was a very thought provoking post indeed. Thanks. Love this post. Love when authors give the gospel and also when they remind us that the Lord is in control He's got this. I have often been encouraged spiritually while reading a fiction book by a Christian author. Authors can have a big impact in other lives. Please add my name to your medical bag. O I totally agree. Author's words can and will have quite an impact on our lives. Thanks Wilani for stopping by! Wilani, I agree! There are books I read by Marjorie Holmes and Janette Oke when I was a teen that still resonate with me, the spiritual lessons, esp! Great to see you here today, Richard! Very inspiring post! Just finished reading Surgeon's Choice....loved it as I do all your books! Donated the book to our Library where they will display and promote it...I'll do a review on Amazon later today! Keep up the great writing! Jackie, what a great thing to do, donating your books to the library. That sure helps pass along the messages of hope and healing to a wider crowd! Hi Dr. Mabry, Thank you so much for this post. I am a wife of a pastor and I must say, we do have eyes on us a little more than the average person. In answer to your question, "What are you seeking? ", I am seeking to be used by God daily. I want to see lost souls come to Christ and I seek His guidance everyday. Thank you again for this post and I would love to win a copy of your newest book. Cindy, that must be so hard, to have that added pressure of being 'on' all the time for your church. I hope that you and your family have some good friends within your church where you can relax a bit! I appreciate the responses each of you has left, and it's always nice to see familiar names in the comment section. Thanks to each of you. Glad I could make you ponder exactly what you seek. Such an encouraging post, Dr. Mabry. I'm in awe of the authors who so generously reach out to unpubbed and new writers. I'm seeking to pay it forward. Because others invested in me and helped me launch a debut novel with relative success, I'm always looking for ways to help others--whether it's promoting an established author or sharing what I've learned with a new author (with the disclaimer that I still have a lot to learn!). I feel God blessed me with so many people along the way, I want Him to use me to help other writers any way I can. Thank you Karen. Your generosity is exactly what I see about Dr. Mabry's post. It's the support authors give to fellow authors or to readers that makes this community so precious. Karen, congrats on that debut novel. And thanks for sharing what you've learned and being generous with your time. That will not go unrewarded! Welcome to Seekerville, Doc! I was so surprised by all the helpful advice, and better yet, friendship that was offered by authors who had more experience than I on this journey. I'm hoping that I have the opportunity to help others in the same way I was helped...and am still being helped! Thank you Dr. Mabry, for an excellent post! My intention is to always seek God's will first but I confess to getting regularly distracted. It's important to keep asking questions like this. Please enter me in your drawing for a paper copy of your book. I know I'd enjoy it. Phyllis, I'm with you. Distractions sure seem to pop up often! I hope I'll be more vigilant in asking the right questions and be diligent in seeking His will. Richard, thanks for letting me know about that bad link... fixed it! Richard, (and Julie! ), my prayer this month has been that my writing will glorify God and that I not be bogged down in the "business" of writing. I'm honored to know you, Richard! Barbara, that is a lovely prayer. I find sometimes when I get bogged down with the 'business' of writing, it is so much easier to try to focus on results I can quantify and forget about the real aim of the writing--giving God glory and showing Him to others! Amen to that, Barb and Erica. And another amen from my corner! Dr. Mabry!! Fangirl Annie here!Thank you for sharing your post with us today. Much to ponder on. Sometimes I seek in a general sense, and actively seeking something else in another. I seek His will for sure, but am I actively seeking? Am I actively pursuing activities to find His will? Or am I seeking His will on specific desires only and not be vigilant in my daily life? Have routines become a hindrance? Questions I asked, but at times, I know I don't have the right answer. Lol. Happy start of the week, everyone! Excellent question. I hope my writing shows others that life is always better with Jesus. Terri, that sums it up so nicely! Life is ALWAYS better with Jesus! So Richard, tell us about this newest book... Surgeon's Choice. And what made you tip into suspense? Did your military career have anything to do with that, do you suppose? 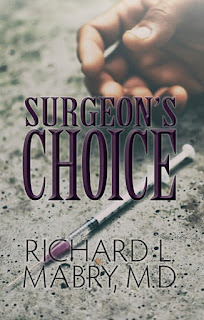 Ruth, Surgeon's Choice is a novella, and deals with the struggles a doctor and his fiancé face as they try to get her divorced parents together for their wedding. Meanwhile, he wonders if some of the problems coming his way are due to his enmity with an older surgeon. This, like all my medical fiction, is influenced by my practicing medicine for so long. The military service didn't affect this one, but every once in a while it does creep in. I love the idea of those family struggles over weddings! They're so crazy and so real.... So should I be concerned that the doctor loves to dabble in suspense???? :) I love that you followed your dream... and your path... to do this! Have no fear, Ruth. I've been retired from medicine for quite a while now. You're safe. Richard, I appreciated this post. It is so important not to lose sight of our calling and who are audience is. The reminder to be an encouragement is so important. Encouraging one another can open doors we'd never dream of. Great post. Love medical suspense. Cindy, I really like medical suspense, too. I've even toyed with the idea of writing one! Somehow, I never put together my personal witness and my writing witness. I've been seeking that answer without realizing it. That's encouraging. Thanks for pointing out that and book and its author are a package! So cool that Doc helped connect those dots, Elizabeth! I love when that happens. Doc, one of the things you said in your post was, "One of the things I was most impressed with when I started traveling my own road to writing was how willing established authors were to help others." Jan, that worked both ways! It's been such a pleasure to meet you through here... to work with you and cook with you at Yankee Belle... and to welcome you into Seekerville officially!!! We've been blessed, haven't we? I couldn't get here yesterday...so glad the post is still live! Very reflective. I seek the Lord's will for my life. Today it's writing. But that could change. I don't think it will change in the not-too-distant future, but I try to stay open to his promptings. I ask and listen and try to comply with what he tells me. Right now he tells me that his children are hurting and need strong voices to help them find their way. Writing is the vehicle that allows me to honor his wishes for my life, at this moment in time. I just finished writing the next book in my current series. I am humbled, knowing that he guides my hand and my heart and my mind as I write. In a way, the writing becomes a religious experience. I hope he allows me to continue writing...but as I mentioned, I follow his lead. Thanks for being here and for this insightful post. Isn't this just a wonderful blog? The Lord has certainly honored the efforts of these people in ways they will likely never know this side of Heaven. What blessings! Really, you've nailed it beautifully. My path is writing (so far) middle grade adventure. Certainly not in for the $$ unless you make it BIG BIG BIG. MG is treated as red-headed step child sometimes, but it's what God's called me to write. So. I do!